Grass Solutions have been delivering to the market high quality, state of the art synthetic grass since 2006. We are committed to customer service and aim to deliver a total professional solution from consultation and installation to after sales care. 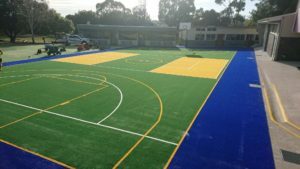 Our ability to offer innovative, efficient and reliable service is underpinned by our relationship with Pro Sports, who have been involved in the synthetic grass industry since 1985 and are also one of the most experienced sports installation companies in the industry. 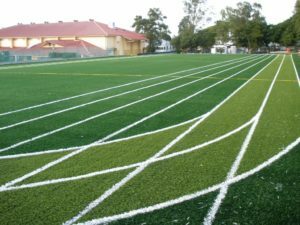 We have access to the very latest synthetic grass trends world-wide, which are constantly monitored by Grass Solutions and preferred Australian manufactures (APT Asia and Urban Turf). This close collaboration gives Grass Solutions the ability to design & manufacture one-off products for projects with specific requirements. the utilization of Australian Made & Owned products – and their formulations continue to prove superior to imported yarns. In addition, we believe in a consultative approach with our Clients and incorporate a strong communication strategy from initial site discussions, through work in progress to the finished result. Our Team are committed, well trained and ethical professionals who are ready, willing and able to deliver the highest level of customer service whilst installing your Grass Solution – we wouldn’t expect you to settle for anything less.